With Readly you can read Hello Goodbye and thousands of other magazines on your tablet and smartphone. Get access to all with just one subscription. New releases and back issues – all included. Almost sixty years have passed since they became ‘The Beatles’ and soon it will be fifty years since they split up. But they remain the biggest band in the world. The fab four shook up Britain in the early 1960s and went on to conquer the world. Nothing would ever be the same again. 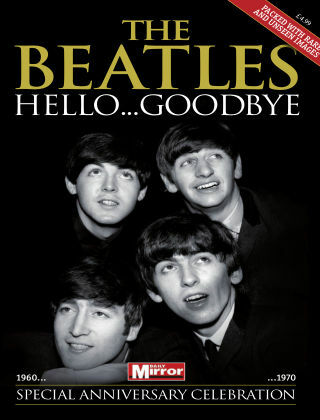 Hello...Goodbye celebrates their extraordinary achievements through the pages of the Daily Mirror, telling the story as it happened. Packed with rare and unseen images from the Mirror’s magnificent archive, we travel on the long and winding road with John, Paul, George and Ringo.